1946 saw the establishment of a regime-critical daily newspaper called Ludu. Today, it is a natural institution for dissident writers in Burma. 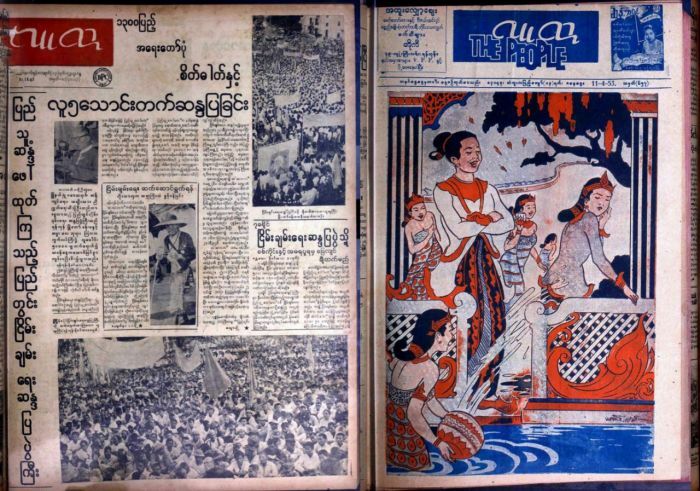 Despite the constant pressure and threats it received over the years, Ludu has continued operating the daily newspaper, and over the years, it has expanded its operations and currently includes the publishing of books, as well as having created a resource library of hard-to-come-by Burmese books and magazines from the early 20th century. The following is a personal reflection offered by Bo Bo Lansin, the grandson of the newspaper’s founder, on Ludu’s significance to the country throughout the years.